This news release may contain forward-looking statements (including within the meaning of the Private Securities Litigation Reform Act of 1995) concerning International Game Technology PLC and its consolidated subsidiaries (the "Company") and other matters. These statements may discuss goals, intentions, and expectations as to future plans, trends, events, dividends, results of operations, or financial condition, or otherwise, based on current beliefs of the management of the Company as well as assumptions made by, and information currently available to, such management. Forward-looking statements may be accompanied by words such as "aim," "anticipate," "believe," "plan," "could," "would," "should," "shall", "continue," "estimate," "expect," "forecast," "future," "guidance," "intend," "may," "will," "possible," "potential," "predict," "project" or the negative or other variations of them. These forward-looking statements speak only as of the date on which such statements are made and are subject to various risks and uncertainties, many of which are outside the Company's control. Should one or more of these risks or uncertainties materialize, or should any of the underlying assumptions prove incorrect, actual results may differ materially from those predicted in the forward-looking statements and from past results, performance, or achievements. Therefore, you should not place undue reliance on such statements. Factors that could cause actual results to differ materially from those in the forward-looking statements include (but are not limited to) the factors and risks described in the Company's annual report on Form 20-F for the financial year ended December 31, 2016 and other documents filed from time to time with the SEC, which are available on the SEC's website at www.sec.gov and on the investor relations section of the Company's website at www.IGT.com. Except as required under applicable law, the Company does not assume any obligation to update these forward-looking statements. You should carefully consider these factors and other risks and uncertainties that affect the Company's business. 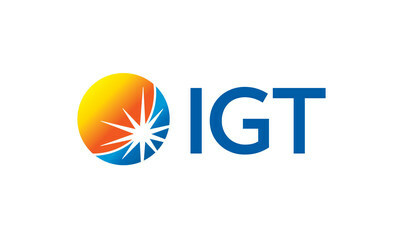 Nothing in this news release is intended, or is to be construed, as a profit forecast or to be interpreted to mean that the financial performance of International Game Technology PLC for the current or any future financial years will necessarily match or exceed the historical published financial performance of International Game Technology PLC, as applicable. All forward-looking statements contained in this news release are qualified in their entirety by this cautionary statement. All subsequent written or oral forward-looking statements attributable to International Game Technology PLC, or persons acting on its behalf, are expressly qualified in its entirety by this cautionary statement.